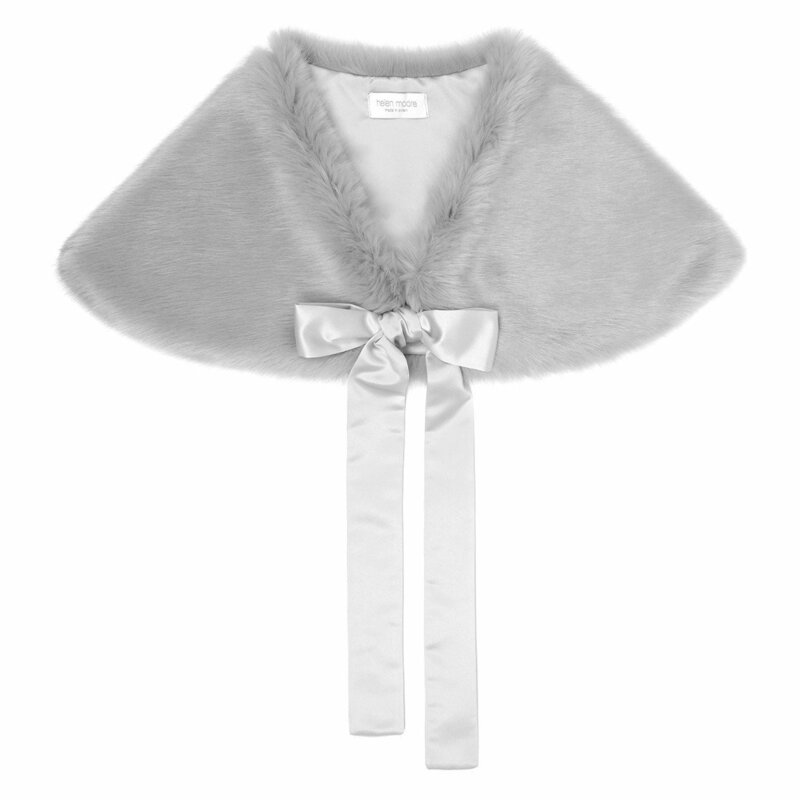 A wonderfully warm shoulder tie wrap in Opal faux fur from the Helen Moore Wedding Collection. This delightful, generous wrap is designed to cover the shoulders entirely. 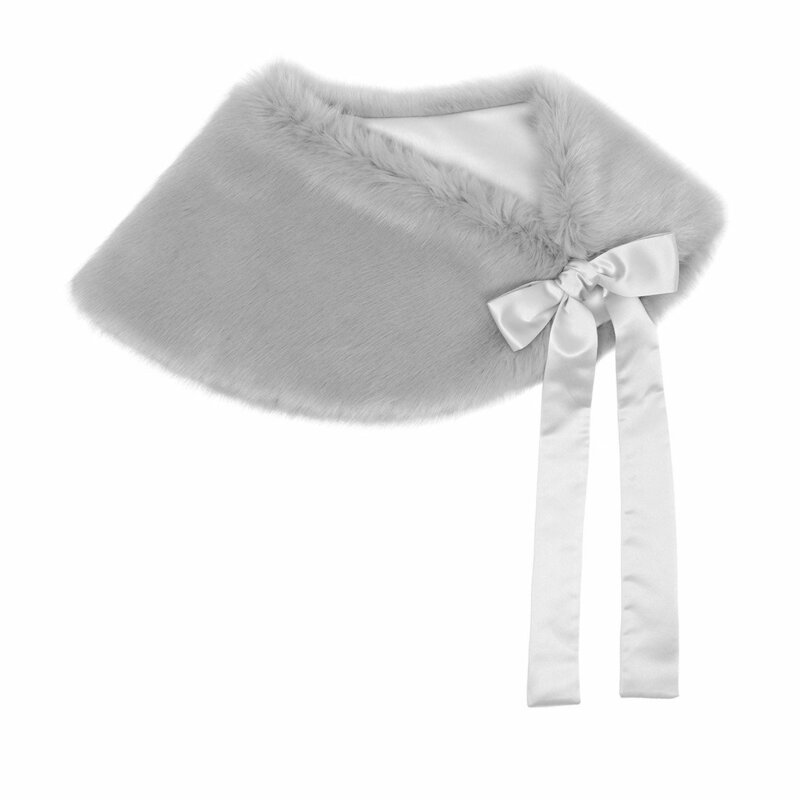 It is lined with silver satin and has a hook and eye fastening and a satin ribbon.